Mr. Thompson is a native of Durham, N.C. He attended UNC-CH and subsequently entered the Duke University Physician Assistant Program, graduating in 1979. 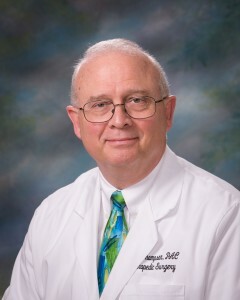 Mr. Thompson has been with Spectrum Medical since 1979. He lives in Danville with his wife, Bennie.